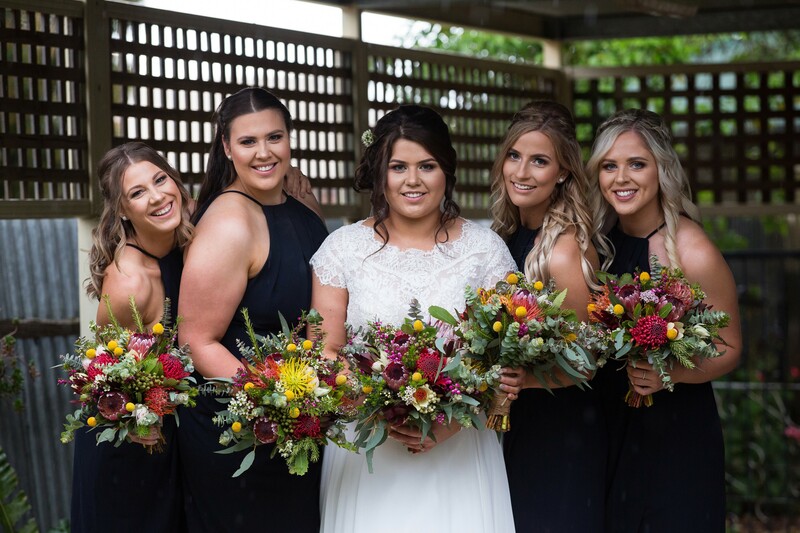 After becoming engaged while overlooking the picturesque coast at Inverloch, Rachael Johnston and Jackson Payne brought family and friends together for a beautiful spring wedding. 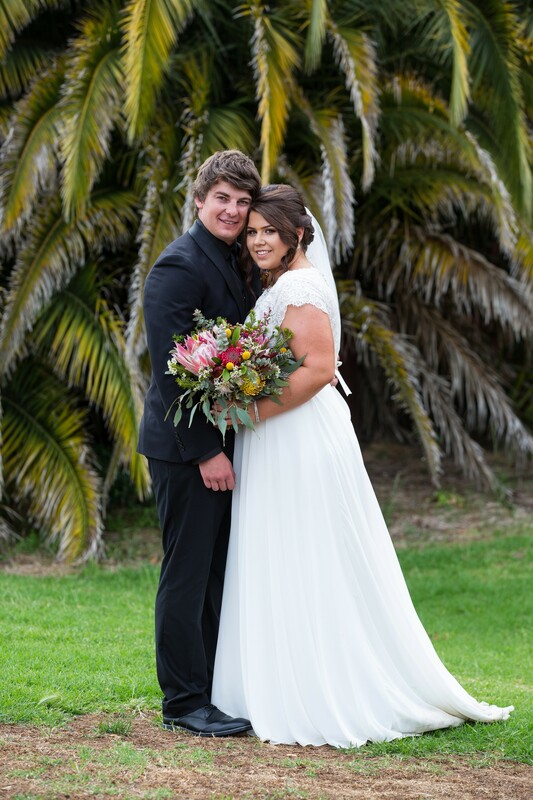 Walked down the aisle by her parents Dianne and David, the bride was elegant in a delicate dress with lace detailing as she and Jackson exchanged vows and embarked on their new future together. 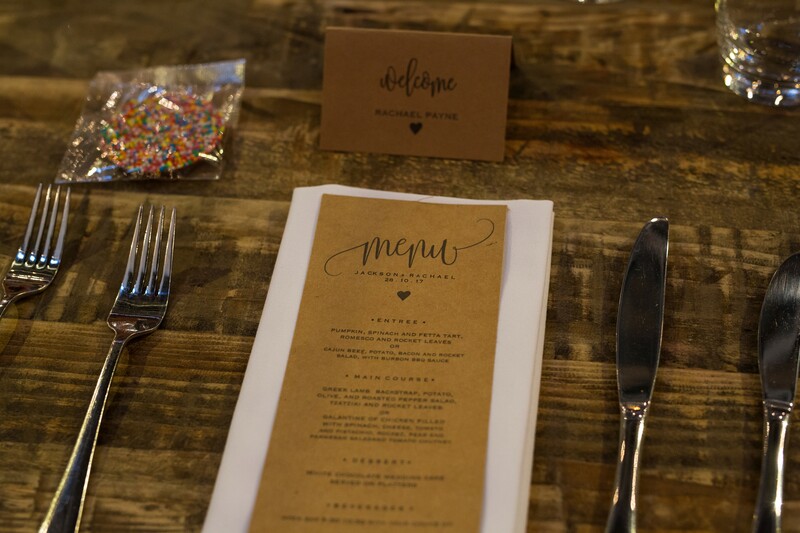 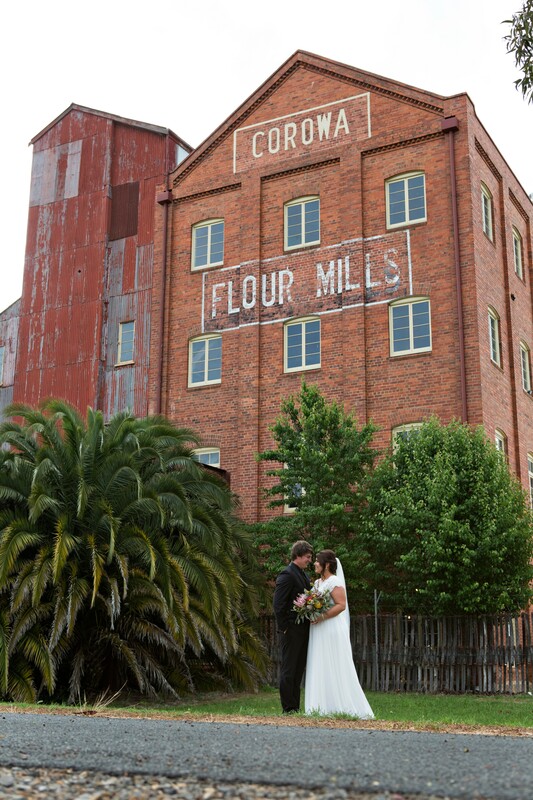 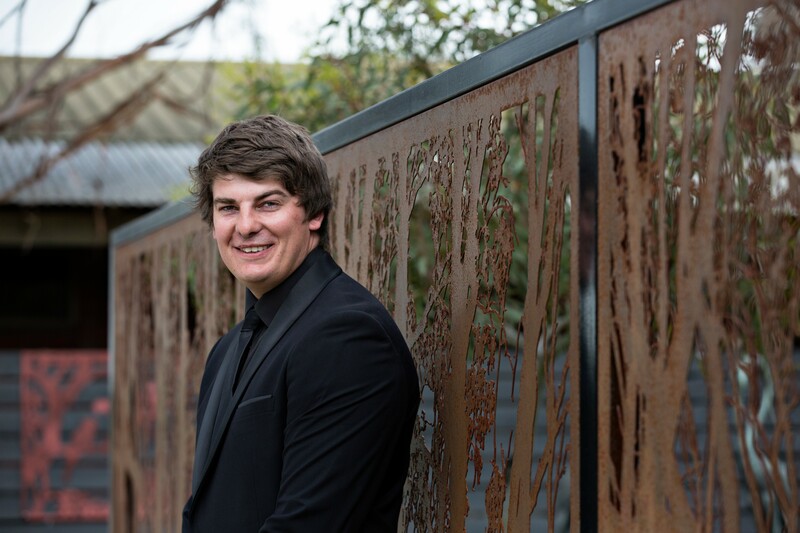 With rustic and natural details on show throughout their wedding, the bride knew they wanted a venue that matched their tastes and fell in love with the Corowa Whisky and Chocolate Factory. 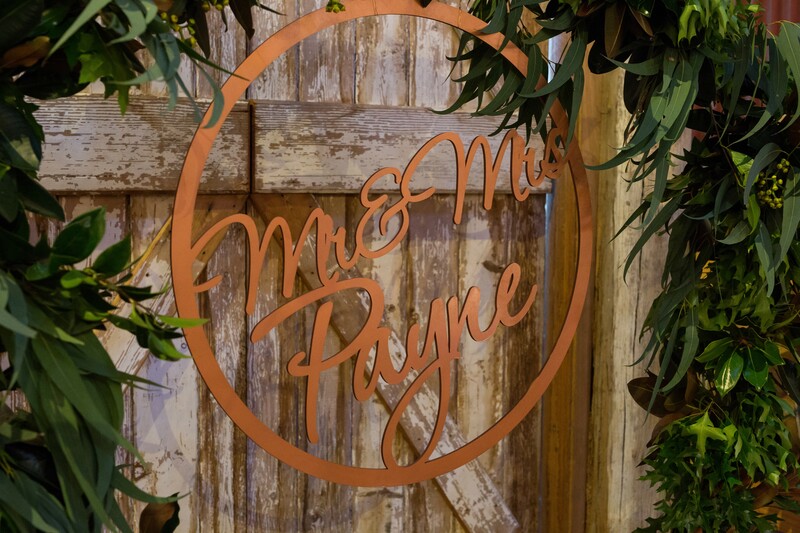 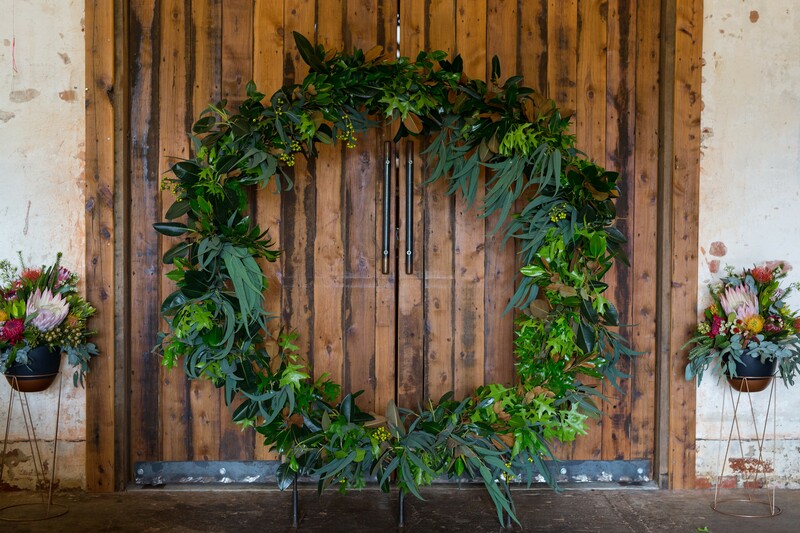 The couple’s reception was a sea of romantic lights and luscious native blooms with a waves of greenery complementing the rustic tin walls and wooden tables of the venue. 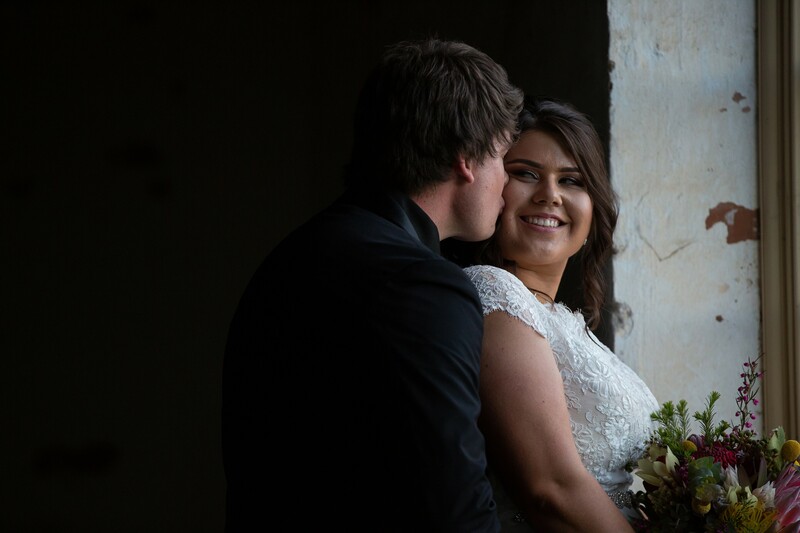 When it came to the ceremony, Rachael and Jackson were married by a celebrant that had played a role in their past – one of their old high school teachers. 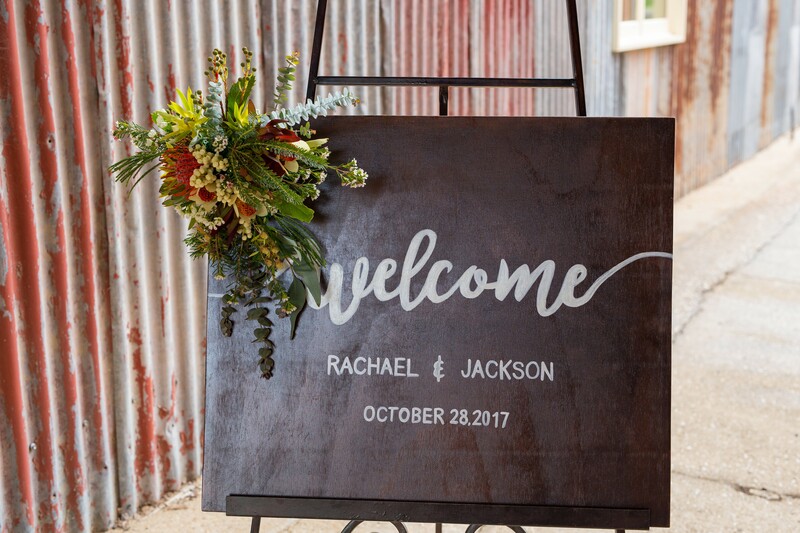 After meeting for the first time around town, Jackson later moved to Rachael’s high school where the two grew closer and the rest, they say, is history. 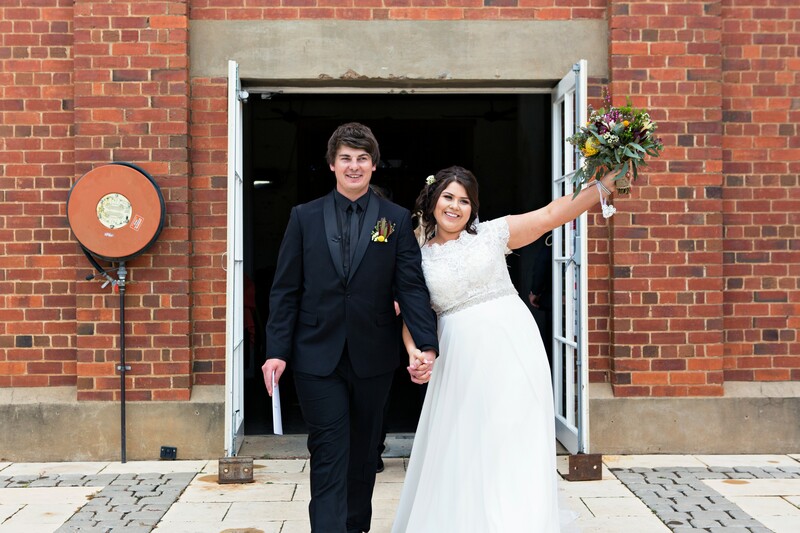 When it came time to arrive for the nuptials, Jackson ensured he made an entrance that would wow the crowd. 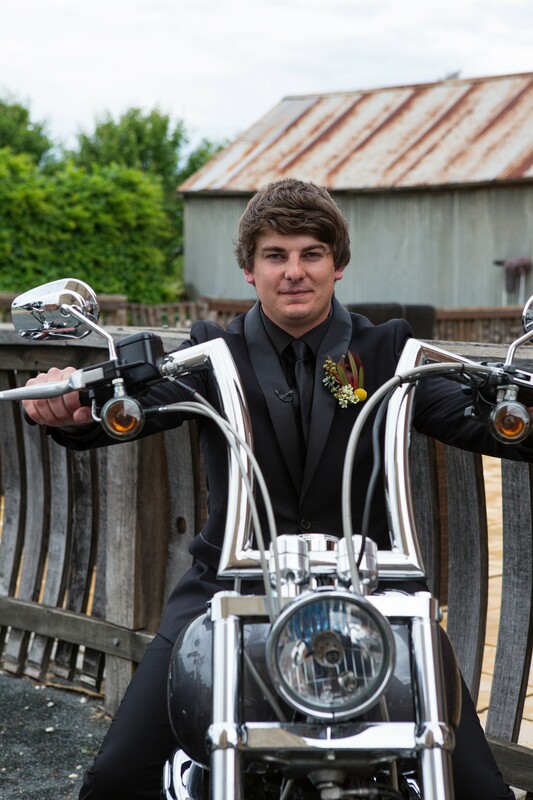 “Jackson rode in on his Harley Davidson, he really loved it. 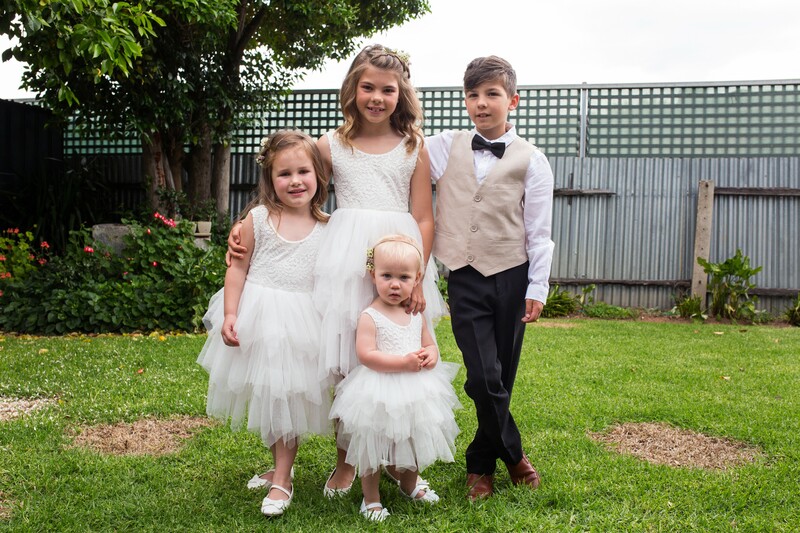 It was definitely a noisy entrance,” Rachael laughed. 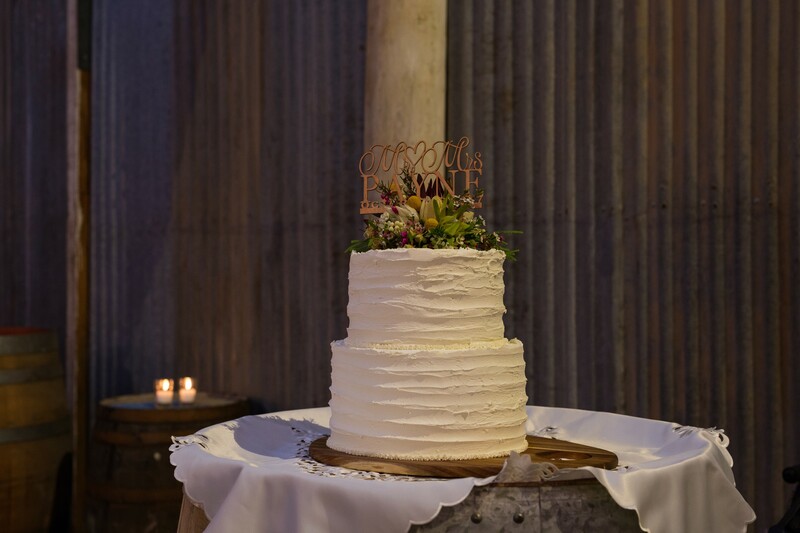 When looking for songs to play at their wedding, they knew they wanted something different and unique. 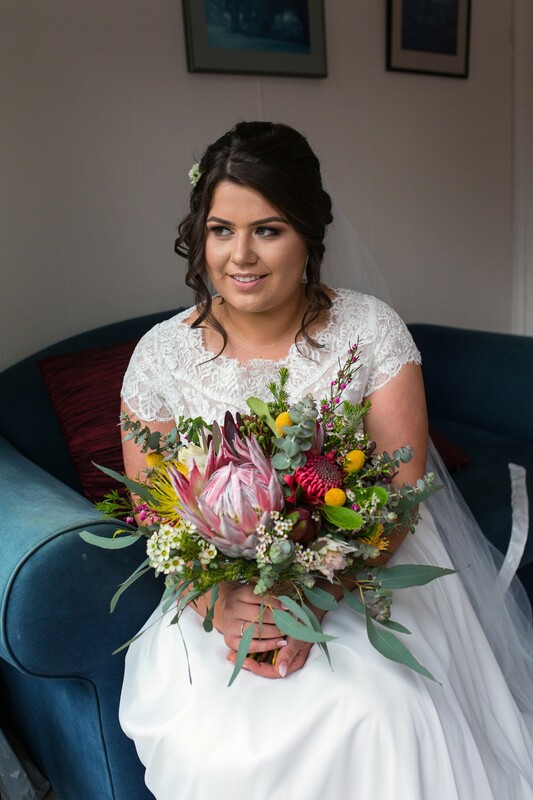 Rachael walked down the aisle to Savage Garden’s I Knew I Loved You, a sentimental favourite that the couple grew up listening to. 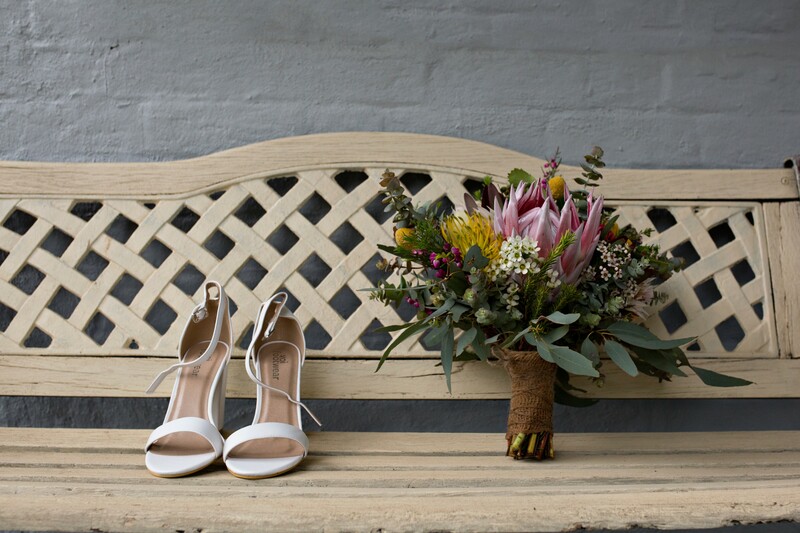 We love: The bold native blooms. 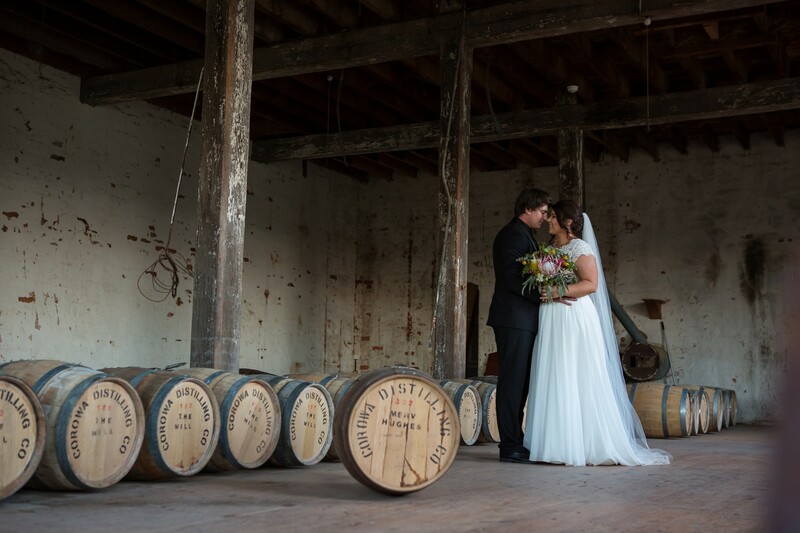 See more photos from Rachael and Jackson's wedding day over on our Instagram.